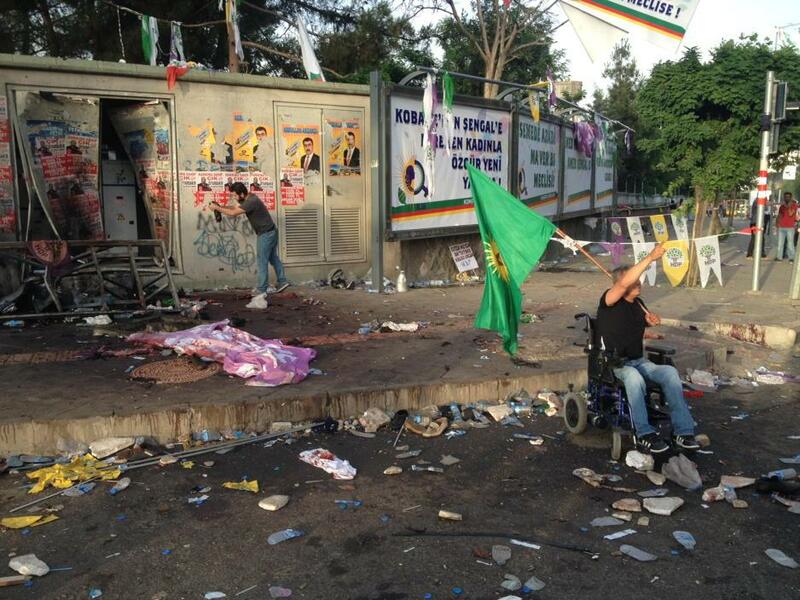 The HDP’s grand finale, a rally in the de facto Kurdish capital of Diyarbakır, was cancelled this evening after two explosions injured several people in the crowd. It is not yet clear what exactly happened. There were two explosions. One was caused by a device placed in a rubbish bin; the other occuring 10 minutes later and outside an electricity substation. Despite initial reports of an explosion inside the substation, photos from the scene show the substation’s doors blasted inwards, suggesting the explosion took place outside. 10 people are reported wounded – all have now been taken to hospital. 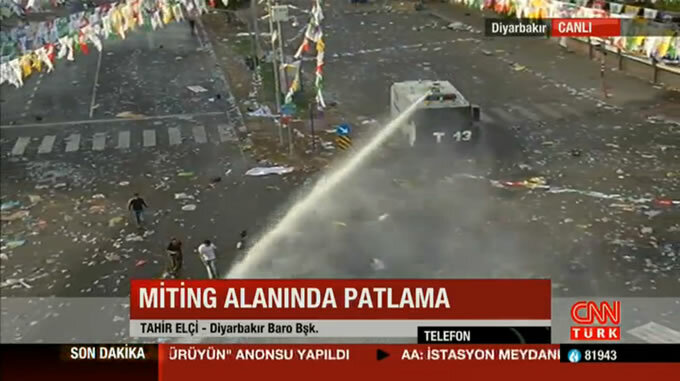 Almost on cue, police swept in to clear the square with water cannon. We don’t yet know if this was an attack. Prime Minister Ahmet Davutoğlu, who was holding a simultaneous rally for his AK Party in Gaziantep, said it was not known whether it was an accident. This wouldn’t be the first attack to strike this election campaign, but it would easily be the most violent. One Doğan News Agency reporter told CNN Türk that one of the wounded was in a critical condition and being given CPR. HDP leader Selahattin Demirtaş, who says he was 30 metres away from the explosion, is due to speak within the next hour, but he has already telephoned into CNN Türk to call for calm.